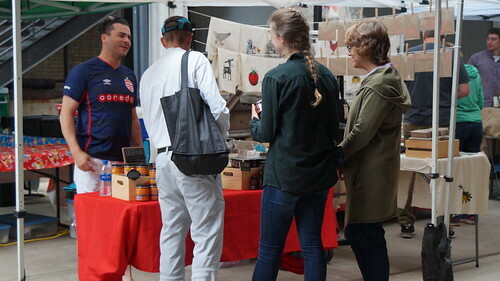 Caldo Foods at the Mill City Farmers Market - Mill City Farmers Market 2018 - Minneapolis Riverfront Neighborhoods. 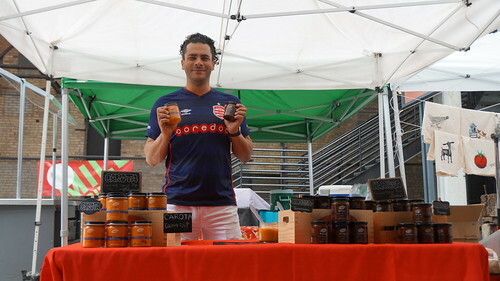 Caldo Foods is a new vendor for the 2018 Mill City Farmers Market season, offering three flavor-packed sauces with Mediterranean origins: carota, harissa and chimichurri. I love pre-made sauces, dips and condiments available at the MCFM because they allow me to throw together quick tasty dishes without having an array of spices, herbs, dressings, etc., on hand. These Caldo Foods products are perfect for anything from tossing with pasta to giving a pot of stew a new twist to mixing with a soft cheese for dipping chips or spreading in a wrap. Healthy - No Artificial flavors or Preservatives! Exotic - The best recipes from around the world! Tasty - You will never have only one bite! Fresh - Only the freshest ingredients! Spicy - Balanced flavors - Spice up your food! Caldo Foods will return for the following MCFM dates: July 7, 14 and 21; August 11 and 25; October 6. In the mean time, you can learn more online (click on the About Us tab for an informative video), plus on Facebook and Instagram. These products are also available at Lakewinds Food Co-Op (sponsor of the Mill City Cooks demos). 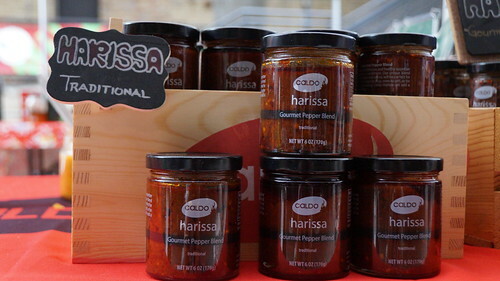 Caldo's flagship product is a gourmet red pepper harissa blend. 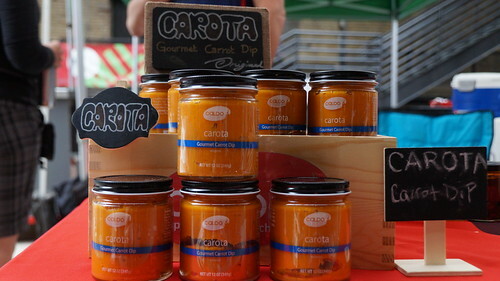 Carota is a gourmet carrot dip. 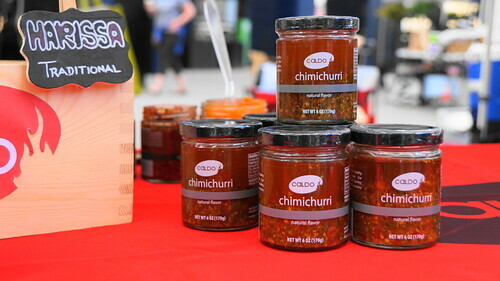 Chimichurri is a unique blend of fresh parsley, garlic and spices.